Abstract: High Velocity Oxygen Fuel (HVOF) spray is being widely used in many industries to deposit erosion-resistant coatings or restore the dimension for components. The porosity, adhesion strength, and hardness are the essential properties commonly used to access the quality of coatings and thus the effectiveness of a HVOF spray pro-cess. To achieve desired coating properties and reduce production cost, optimization of process parameters in HVOF spray has devel-oped immensely during last decades. Among the spray parameters, particle velocity, powder feed rate and standoff distance contribute a significant influence on the final properties of the coatings. In the present study, experiments of HVOF thermal spray were pre-pared for the 67Ni18Cr5Si4B alloy powder. The process parameters including spray velocity, powder feed rate and spray distance were optimized for the objectives of adhesion strength, porosity and microhardness of 67Ni18Cr5Si4B coating. Based on the Taguchi method, signal-to-noise (S/N) ratio and overall evaluation criteria (OEC) are determined to solve the optimization problem consider-ing multiple performance characteristics. Moreover, analysis of variance (ANOVA) was conducted to analyse the contribution percentage of each process parameter. The optimal process param-eters in HVOF spray of 67Ni18Cr5Si4B were found for the multi-response optimization as velocity of 1000 m/s, powder feed rate of 30 g/min, and spray distance of 0.2 m. The results of ANOVA indi-cated that the spray distance was the most significant parameter affecting the output spray quality among the investigated process parameters, subsequently to the powder flow rate and velocity of spray. Finally, a confirmatory experiment was carried out to support the accuracy of optimal process parameters. Heat treatment of an arc spray NiCr alloy coating after sealing with aluminum phosphate. Study on corrosion resistance of carbon nanotubes reinforced Al2O3 coating. Influence of annealing on the microstructure and mechanical properties of Al/Ni-20Cr duplex coating system on steel substrate. Effect of two-stage heat treatment on the properties of Al/NiCr duplex coating. 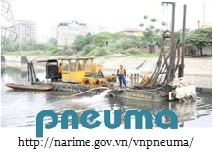 Ghi rõ nguồn http://narime.gov.vn khi phát hành lại thông tin từ Website này.